In March 2002 Lockheed Martin, Akron, Ohio, and Oerlikon Contraves, Zurich, Switzerland, joined forces to produce and market the rapid-fire Millennium Gun. 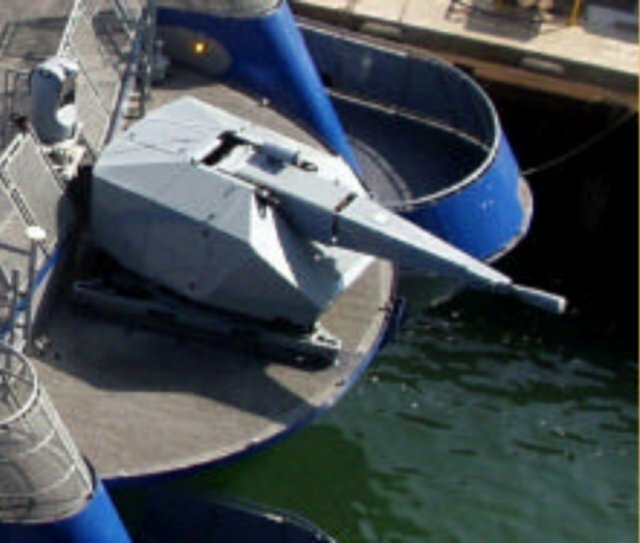 The Millennium Gun is the only multi-mission close-in weapon system capable of engaging fast-attack surface craft and near-shore land targets in littoral and riverine waters, as well as defending against anti-ship missiles and aircraft in all environments. The gun's highly effective inner layer defense capability extends ship self-protection to ranges greater than any other close-in weapon systems. Creating a "wall of steel," the Millennium Gun fires 35-mm ammunition, including the advanced Ahead round, at 1,000 rounds per minute. Each Ahead round dispenses 152 subprojectiles that form a cone-shaped pattern. The subprojectiles destroy a target's control surfaces, seeker and other vital components as it moves through the wall of steel. The Millennium Gun is a low-cost, unmanned, remotely controlled gun mount. It is compatible with all modern and legacy sensors and fire control systems. It fits on a number of ship classes, including such advanced designs as the U.S. Coast Guard National Security Cutter and the Littoral Combat Ship. Oerlikon Contraves has received expressions of interest from several navies for mounts on frigates and corvettes. The Millennium Gun will give navies a multimission-capable deck gun, defending against sea-skimming cruise missiles and other air threats in the open ocean and against the asymmetric threat of small surface craft in littoral and riverine waters. The Millennium Gun's versatility and modularity was demonstrated during the U.S. Navy's Fleet Battle Experiment-Juliet, scheduled for July and August 2002. Lockheed Martin's Sea SLICE, an advanced technology demonstrator vessel participating in the exercise, was fitted with the Millennium Gun on its bow. The exercise highlighted the gun's adaptability to fit on a number of ship classes. 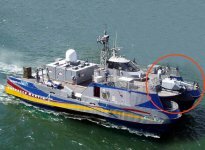 Its low weight, small footprint and easy loading of ammunition make it ideal for new ship construction and existing ships earmarked for modernization.